Searching for information on bad credit loans in San Diego? If you need a fast cash loan and have bad credit, a collateral loan is an option well worth considering. When people need a bad credit loan, they often look toward California payday loan companies. However, a San Diego pay day loan often isn’t the best option for a bad credit loan. If you default on a San Diego payday loan, your credit rating will get worse. In addition, you may start being harassed by a bad credit loan collection agency. Another reason why a payday loan often isn’t the best choice for a bad credit loan is that the interest rates are very high. 1) Unlike a San Diego payday loan, a California collateral loan won’t make your credit rating worse. If you default on your collateral loan, the loan provider simply keeps your collateral. 2) A California collateral loan protects your privacy. The loan provider doesn’t even know whether you have bad credit, because no credit check is ever made. That is why a collateral loan is also often called a no credit check loan. 3) The interest rates on a California collateral loan are often less than the interest rates on a San Diego payday loan. For collateral loans under $2,500, the interest rates are a monthly 1.96%. That interest rate holds true for every California pawnbroker and collateral loan provider, because it is regulated by the state of California. No credit check collateral loans are not only taken out by people with bad credit. Collateral loans on luxury assets such as jewelry, diamonds, and Rolex watches are becoming increasingly popular throughout Southern California as traditional banks restrict lending practices. 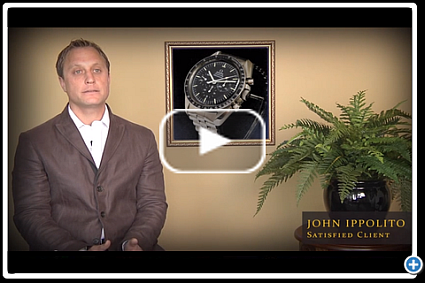 New Collateral companies like San Diego Luxury Pawnbrokers don’t resemble the typical neighborhood pawn shop but instead a fine jewelry store, staffed with highly trained professionals, including GIA trained gemologists. 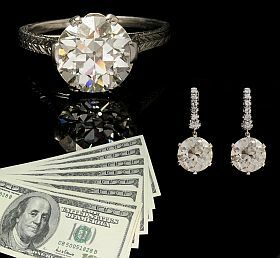 Therefore customers can expect higher collateral loans on diamonds, sterling silver, gold jewelry, vintage timepieces, and other precious gift assets. So, whether you are looking for a bad credit loan or a fast cash loan that won’t put you’re good credit rating in jeopardy, a California collateral loan may be the exact type of loan that you need to put more cash in your pocket today.